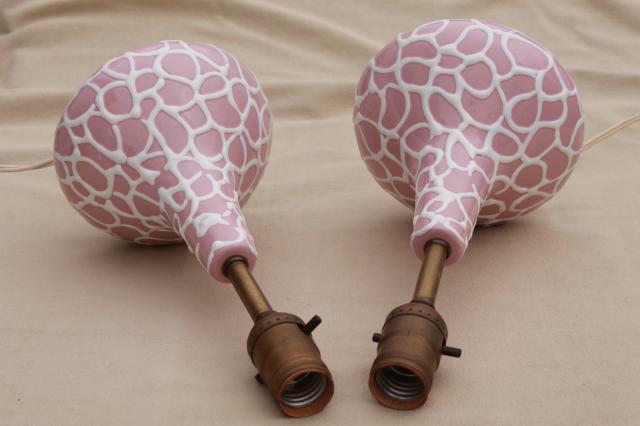 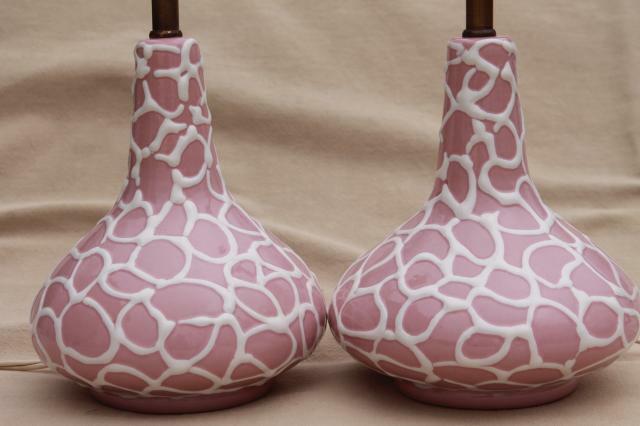 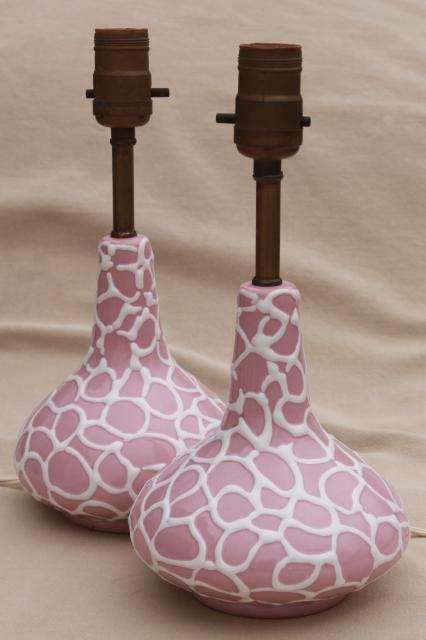 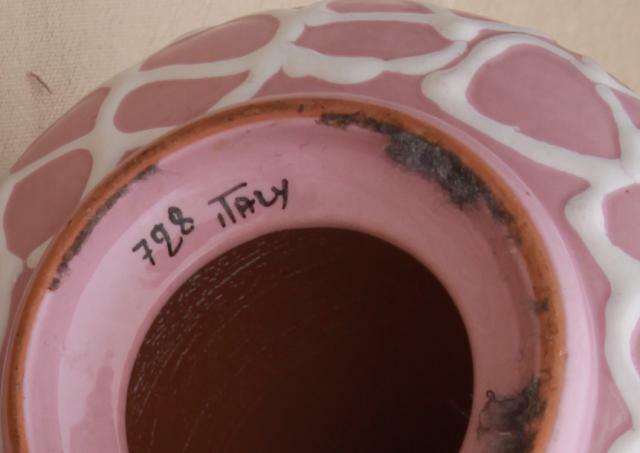 mid-century mod vintage Italian ceramic pottery lamps, early Raymor 50s pink! 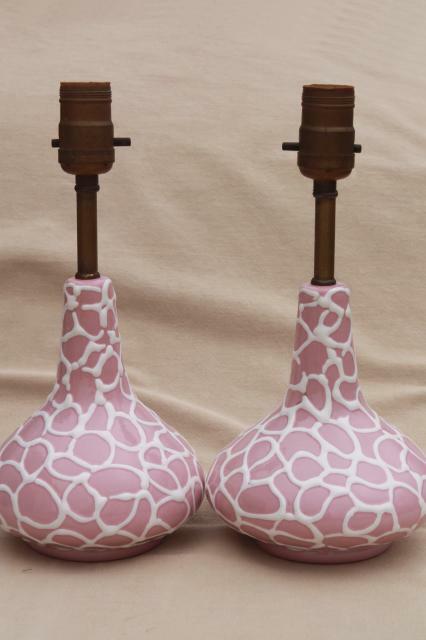 Pair of 1950s vintage ceramic table lamps marked Italy, probably Raymor pieces (these are missing the original felts, and have no labels). 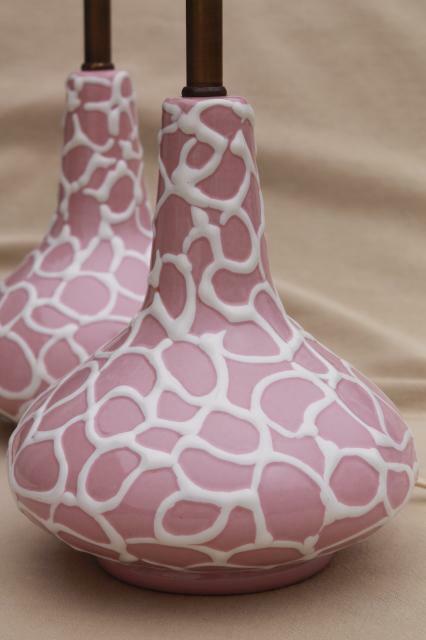 We love the applied crackle mosaic design, and the rose pink color is so classically mid-century! 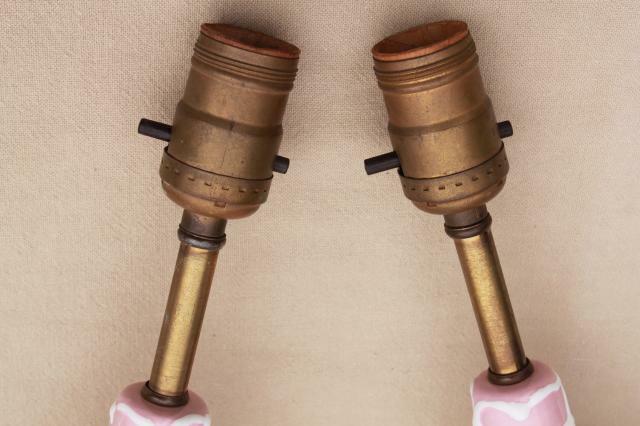 These stand about 12" tall to the top of the light bulb sockets. 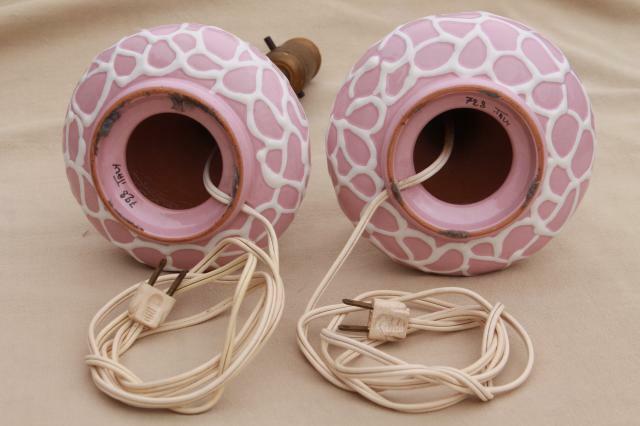 Both lamps are complete with original wiring, and work fine.